*I recently presented this website as part of a paper presentation at the Sixteenth Century Studies Conference in Vancouver, BC. If you learned about this site at the conference, I would be delighted to hear any ideas, feedback, or suggestions on improving this site or my site on Marguerite de Navarre. Thank you! 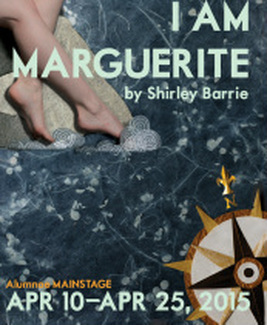 *The world premiere of Shirley Barrie’s play I am Marguerite took place in April 2015 in Toronto. *Please look for my forthcoming article “Nature and Nourishment, Bodies and Beasts: The Heptaméron‘s Portrayal of Marguerite de Roberval’s Marooning” in Dalhousie French Studies. *If you enjoy this site, please visit my pedagogical site dedicated to teaching Madame de Lafayette’s La Princesse de Clèves.